What is an Egg Replacement? Several health concerns are associated with egg consumption: the cholesterol content with its negative influence on heart health, the 2017 Fipronil scandal and the recurring outbreaks of avian influenza. The replacement of eggs in a formulation can provide consumers with better health opportunities. It can also be a nutritional alternative for people on special diet restrictions or ethical concerns, such as vegans. These concerns have created a whole new food ingredients category dedicated to finding functional and cost-effective egg replacers. The feasibility of implementing partial or total substitution of eggs is judged primarily by the ingredients functional performance and quality of the finished food product as well as cost saving benefits. In addition, eggs impact the color and flavor of cakes and other baked goods. These ingredients can be used individually or in combination depending on the baked product type and desired level of egg replacement. Ideal egg replacers should have the ability to replace 100% of the egg content and produce physical and sensory attributes equivalent to those in the original product. Due to the fact that egg contains various functional substances (proteins, emulsifiers, lipids etc. ), it is rather difficult to replace with just one ingredient. Promising results are achieved when using combinations of different ingredient categories complementing each other functionalities, such as using a protein combined with cyclodextrins. Ratnayake, Wajira S., Bhimalingeswarappa Geera, and Dana A. Rybak. “Effects Of Egg And Egg Replacers On Yellow Cake Product Quality.” Journal of Food Processing and Preservation 36.1 (2012): 21-29. Ashwini, A., R. Jyotsna, and D. Indrani. “Effect of hydrocolloids and emulsifiers on the rheological, microstructural and quality characteristics of eggless cake.” Food Hydrocolloids 23.3 (2009): 700-707. Julianti, E., Rusmarilin, H., Yusriani, R.E. Effect of gluten-free composite flour and egg replacer on physicochemical and sensory properties of cakes. Int. Food Res. J. 2016, 23, 6: 2413-1418. Lee, C.C., Love, J.A. and Johnson, L.A. sensory and physical properties of cakes with bovine plasma products substituted for eggs. Cereal Chem. 1993, 70: 18-21. Hedayati, Sara, and Mostafa Mazaheri Tehrani. “Effect of total replacement of egg by soymilk and lecithin on physical properties of batter and cake.” Food Science & Nutrition 6.4 (2018): 1154-1161. Hussain, S. S. Abdul. “Studying the Possibility of Preparing An Egg-Free Or Egg-Less Cake.” International Journal of Engineering and Technology, vol. 1, no. 4, 2009, pp. 324–329., doi:10.7763/ijet.2009.v1.65. U.S. Food and Drug Administration. “GRAS Notices” Accessdata.fda.gov, https://www.fda.gov/downloads/Food/IngredientsPackagingLabeling/GRAS/NoticeInventory/UCM566349.pdf Accessed on August 24 2018. U.S. Food and Drug Administration. “GRAS Notices” Accessdata.fda.gov, https://www.accessdata.fda.gov/scripts/fdcc/?set=GRASNotices&id=121&sort=GRN_No&order=DESC&startrow=1&type=basic&search=xanthan%20gum Accessed on August 24 2018. U.S. Food and Drug Administration. “GRAS Notices” Accessdata.fda.gov, https://www.accessdata.fda.gov/scripts/fdcc/?set=GRASNotices&id=633&sort=GRN_No&order=DESC&startrow=1&type=basic&search=whey%20protein Accessed on August 24 2018. U.S. Food and Drug Administration. “GRAS Notices” Accessdata.fda.gov, https://www.accessdata.fda.gov/scripts/fdcc/?set=GRASNotices&id=534&sort=GRN_No&order=DESC&startrow=1&type=basic&search=lecithin Accessed on August 24 2018. Borneo R, Aguirre A and Leon, A.E. Chia (Salvia hispanica L) gel can be used as egg or oil replacer in cake formulations. Journal of the American Dietetic Association, 2010, 110, pp: 946-949.
fav to look at new information on your blog. Ingredients | BAKERpedia <Loved it! 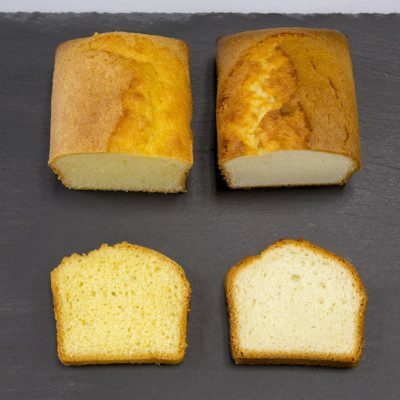 Enter your information below to receive your free download: Egg-free Bakery Solutions from WACKER. BAKERpedia & WACKER will use this information to be in touch with you and to provide updates and marketing. Required fields are marked with a red asterisk (*).